We had reviewed in April 10, 2017 the news that Qatar had begun to increase its investments in Russia. It had invested approx. US$ 2 Billion between 2014 and 2016. Another US$ 1 Billion in 25% of Russian Pulkova airport, and US$ 11 Billion for about 20% of Rosneft Oil Co., the largest oil and gas company in Russia. It was also studying further investments in two gas projects in the Russian Artic. We had assessed this as a wise portfolio diversification, although it may not be too pleasing to the USA, who isn’t likely to be too happy to see financial support going to Russia. Since then, things have changed. 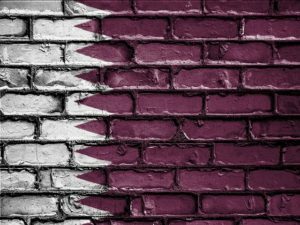 The Gulf crisis between Qatar and its neighbors and Egypt, must have changed Qatar’s strategy. The financial and commercial blockade imposed on it must have induced it to rethink and restructure its finances. Accordingly, it has now sold 14% of Rosneft to China, and has kept approx. 5%. The reason it kept the 5% is because it had already paid for it in cash, while the rest (14% of Rosneft) was purchased via loans, which it obviously now wishes to reduce. NEGATIVE FOR: Qatar, its neighbors and the region, because this strategy indicates a battening down of the hatches, for the long haul, i.e. not expecting an early resolution of the crisis. It is also negative for Russia, because it loses a good source of foreign direct investment, especially one with deep pockets. POSITIVE FOR: Qatar in that it is wisely restructuring its finances. It is also positive for Russia because it didn’t lose out, but got a good partner replacement in China, who is also a major customer for Russian/Rosneft oil & gas; which further solidifies their growing relationship. Previous Previous post: Want Privatization? Go To Brazil!